Home / STORE / Hearts / Spotted Heart. 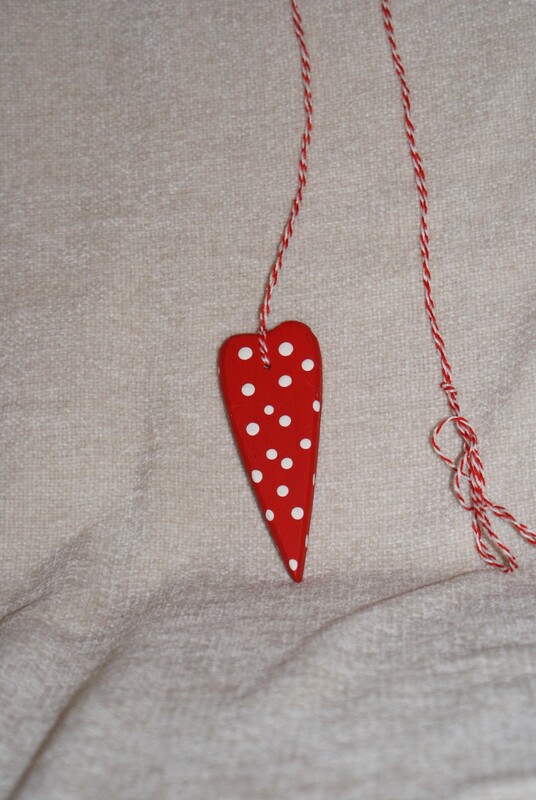 These slimline red wooden hearts are decorated with white spots, hanging from a red and white twist ribbon. 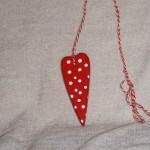 They have a long ribbon allowing them to be hung from a door or window. Approx 3.5 x 9cm.